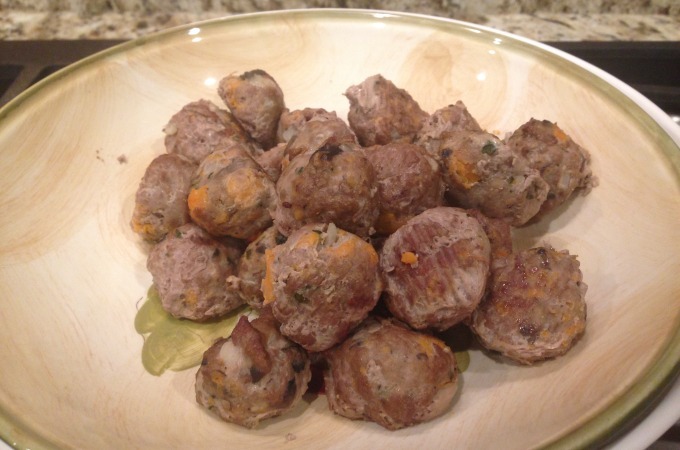 Freezer Option: Freeze raw meatballs on a flat sheet then put in freezer bag. To bake, place frozen balls on parchment-lined baking pan. Place in 350 degree oven for about 30 minutes. Turning half way through.